Two Women To Co-Anchor A Nightly New Show For The First Time EVER! It’s an (not quite) Christmas miracle! More like a TV Miracle. Women are making huge strides in the media, and it’s not because of their gender. More and more we are seeing examples of women doing great things in the world which has nothing to do with the way they look and everything to do with what they are capable of. The PBS “NewsHour” show, which was co-anchored for decades by the two men who created it, will soon be co-anchored by two women here in the US. 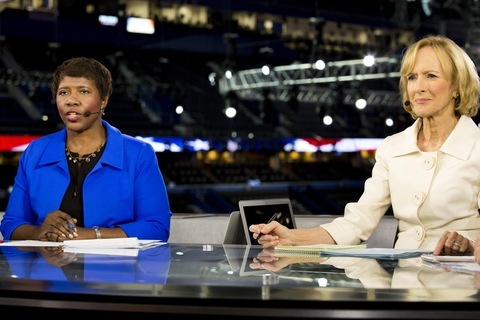 Tuesday that Gwen Ifill and Judy Woodruff would take over the nightly newscast in September, putting an end to the rotating anchor format that has been in effect for several years. Ms. Ifill and Ms. Woodruff will also share the managing-editor responsibilities for the program. It comes not a moment too soon, as Katie Couric famously became the first female solo anchor of a nightly news show on CBS 7 years ago. Let’s hope this will continue to snowball with less time in between female appointments. The two PBS women were excited about their new jobs and especially because of its significance. 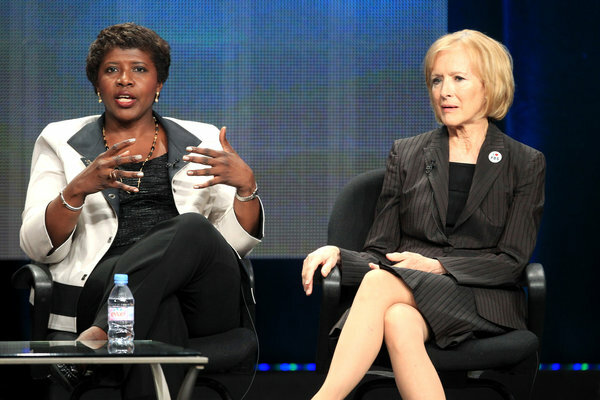 Gwen Ifill is a woman of color and older. Two of the very things that would normally prevent any female from holding such a high position in the newsmedia world say 10 years ago. The executive producer of the news show, Linda Winslow made it clear that they pair were chosen for their stellar journalistic skills, but the fact that they were women wasn’t altogether an “unattractive feature” she says. This is a monumental decision, one that we hope will have a ripple effect in the media. Women are serious journalists and should be rewarded for their hard work, not just relegated to discussions about abortion, fashion, children and the stereotypical issues people think we care about. Women are also passionate about the environment, healthcare, technology and much more. We will definitely be tuning into PBS starting September to watch these two TV dynamos change the face of nightly news forever.